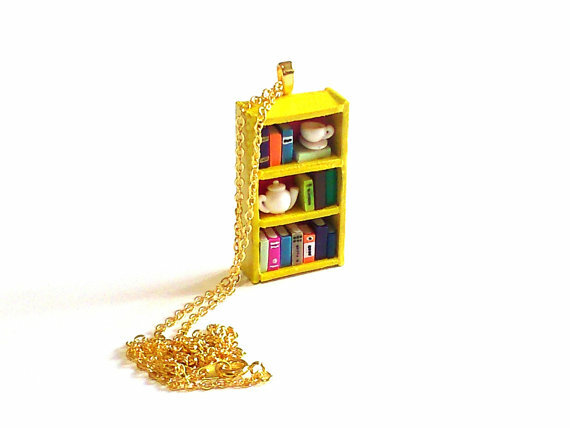 We featured bookish rings from the Coryographies a week or two ago, and now we're back to show off these wonderful book case necklaces. 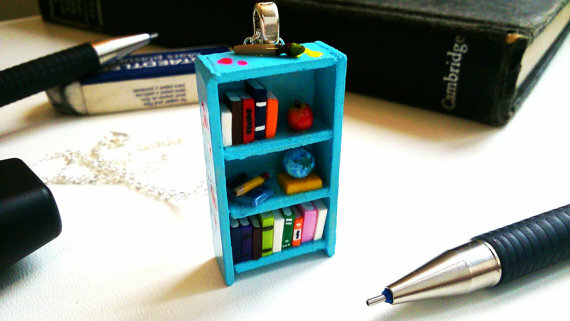 The miniature books are made with polymer clay and then painted. 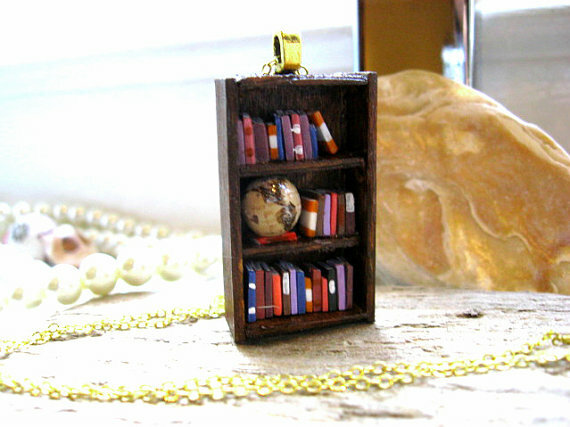 I love all of them, so cute! !